It’s been more than a decade since owners of commercial real estate started taking the need to become energy efficient and environmentally sustainable more seriously. From the start, buildings proved their green bona fides to prospective tenants by gaining third-party certifications such as LEED, Energy Star and Boma Best. But even with certifications in place, many question the ROI of green investments. Although studies show a correlation between green building certification and higher rent and occupancy, their methodologies typically lacked rigor—in part because there was not enough history to make a fair comparison. 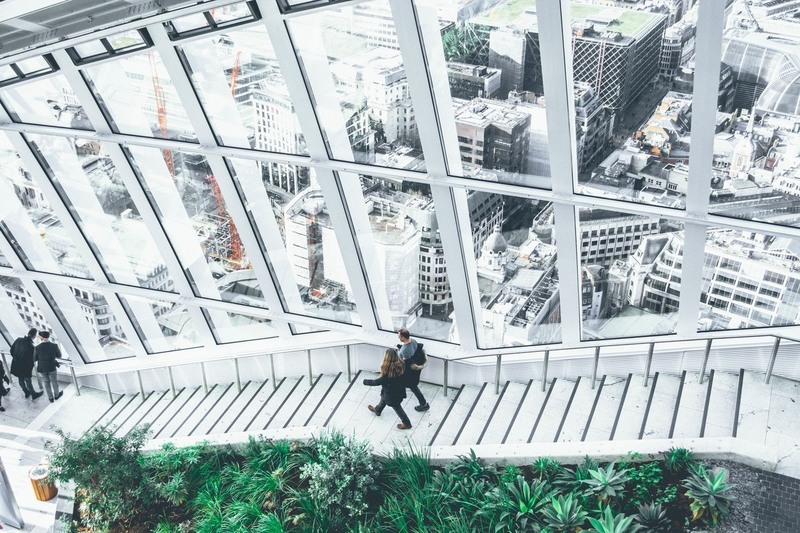 Past studies have also compared average rental rates of green and non-green buildings without taking into account the cost of tenant concessions, which can be substantial. Having access to that usually-private information enabled the researchers to better measure green ROI. Now, the data is in—and the history has been documented. Green ROI has been quantified. In partnership with its clients, Bentall Kennedy brought on board top global academics, sharing a deep ten-year data pool of nearly 300 office buildings, including 58 million square feet of properties across North America. The study determined that green certifications bring direct benefits—higher rent and occupancy—as well as indirect benefits such as higher lease renewal rates and tenant satisfaction scores. LEED: In the U.S., properties with a Leadership in Energy and Environmental Design certification enjoy an average 3.7 percent rent premium and a 4 percent gain in occupancy over comparable non-certified properties. In Canada, LEED-certified properties saw 10.2 percent higher rental rates and 8.5% higher occupancy than other properties in Bentall Kennedy’s portfolio. Boma Best: A Canadian program that focuses on sustainable management and tenant engagement, the Building Owners and Managers Association of Canada’s Building Environmental Standards was associated with 4 percent lower rent concessions and on intangible measures: 7 percent higher tenant satisfaction scores in buildings with Level 3 and 4 certifications, and 5.6 percent higher lease renewal rates in Level 3 properties. These metrics are noteworthy as the cost to fill vacated spaces is far more than to keep tenants in place. Energy Star: Within Bentall Kennedy’s North American portfolio, Energy Star-rated office buildings averaged 2.7 percent higher rents and 9.5 percent higher occupancy than non-certified buildings. 5.6 percent higher tenant renewal probabilities. These metrics could translate into an 8 to 10 percent increase in asset value over an identical non-certified office asset. This illustration is for the purpose of estimating a possible value impact of the changes in rental rates, rent concessions, and occupancy rates correlated to green building certification in the study. There is no assurance that an investment in green certification would have a similar impact on an actual building. Market conditions vary by geographic area and could differ significantly from these assumptions. The increase of value shown is at a point in time based on changes to assumptions in the valuation model, and it does not represent a rate of return. The model further does not reflect fees, transaction costs and other expenses that might decrease the return on an actual investment. The credibility of the research gets a boost from the quality of its authors. Dr. Nils Kok, associate professor of finance and real estate at Maastricht University in the Netherlands, is widely known in the institutional real estate sector as an expert on financial implications of sustainability in buildings, and one the most published authors in this emerging field. Dr. Avis Devine, assistant professor in real estate and housing at Guelph University in Canada, also has a background in private-sector commercial real estate underwriting and valuation. The research validates our intuitive, on-the-ground experience managing hundreds of certified buildings over the past ten years and preceding cycles. Now more than ever, we have the numbers to demonstrate to investors that sustainability drives long-term value. We continue to innovate, and with recently approved LEED Volume program plus a Boma Best Portfolio program we are well positioned to continue to advance work in this field as a key aspect of our institutional investment management solutions for the next ten years. James Gray-Donald is Vice President of Sustainability at Bentall Kennedy, one of North America’s largest real estate investment advisory companies. The 2014 Global Real Estate Sustainability Benchmark (GRESB) recognized the firm’s commitment to environmental, social and governance (ESG) considerations in ranking Bentall Kennedy as the top firm globally (Global Leader) for the Diversified property type, the top North American firm (Regional Leader) for the Diversified - Large Cap property type, and the United States leader for the Diversified property type peer group, as real estate advisor for Multi-Employer Property Trust/MEPT Edgemoor. TriplePundit has published articles from over 1000 contributors. If you'd like to be a guest author, please get in touch!